The UK is identified as suffering some serious pollution hotspots and requires urgent solutions to rectify these. The challenges CNPPS is addressing are both the constant increases in carbon dioxide levels and the increasingly severe and frequent instances of flooding that become visible as a result of the climate change. According to the government infrastructure pipeline budget that is particularly relevant to CNPPS technology, the current transport sector budget is £127 billion. This budget is allocated for projects all over the UK that vary from light to heavy scale construction projects relevant to the pavement sector and CNPPS. Since CNPPS is at least 5-8% less expensive than traditional asphalt because of the waste products used. CNPPS thereby offers substantial savings in infrastructure budgets at least £2 billion based on the government’s infrastructure pipeline announced for the transport sector alone. As Global warming is increasing annually; with rainfall levels growing and causing major problems to all urban cities: High-level rainwater/stormwater forms massive volumes of water runoff, which blocks the pipes as it carries all the streets' pollutants that damage the surrounding watercourses. 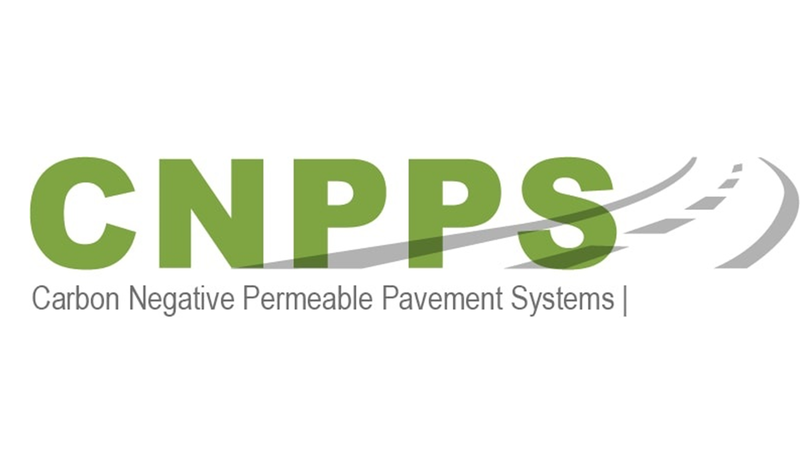 CNPPS offers the most economical, sustainable and environmentally friendly pavement system created to not only help prevent CO2 levels from rising but to absorb CO2 in the manufacturing process and through the use of waste materials. Furthermore, CNPPS is designed to rapidly absorb all the rainwater and channel the water away from the pavement surface in a controlled manner as possible. CNPPS offers a highly innovative and environmentally friendly technology for building roads and other hard surfaces that can save £ billions in infrastructure expenditure, while helping save our planet. The methodology contains using waste materials, recycled materials and carbon negative materials in exactly the right combination of aggregates. The level of carbon absorbed per square meter using CNPPS technology is equivalent to the level absorbed by a medium sized tree over its 70 year lifespan. With the countless miles paved every day in the UK, CNPPS is therefore able to turn the roads and pavements all over Britain into the equivalent of planting forests. A patent has been filed in the United Kingdom and the European Union to protect CNPPS technology. The world-wide potential is simply enormous.